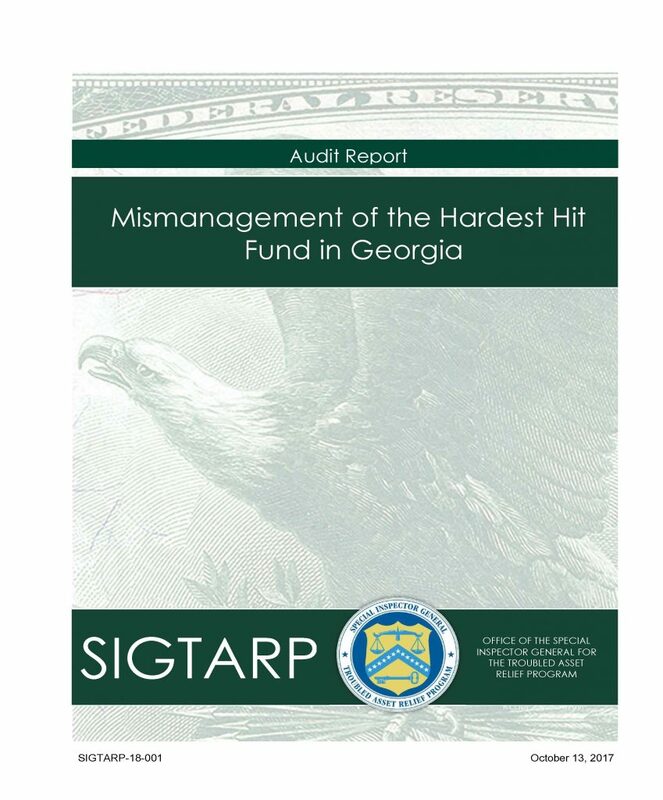 The Office of The Special Inspector General for The Troubled Asset Relief Program (SIGTARP) released the results of an audit of Georgia’s HomeSafe Program. The audit finds clear mismanagement by DCA in its handling of the funding, very strongly criticizes DCA and the Georgia program, and recommends numerous changes to make to make sure the remaining $160 million is handled properly. Congressman John Lewis requested the audit. Click here to download the audit and review the recommendations. Click here to read the response issued by Congressman Lewis.